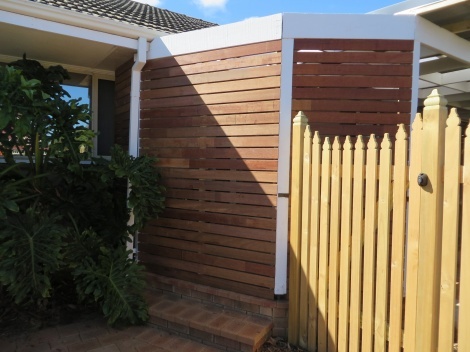 This screen has been constructed between the front verandah posts leading to the front door to give the owner privacy in the front yard. Access to the front door is now through the picket fence gate. The screen is made from 90 X 19 Merbau decking boards.